George Peabody, cut signature with closing from a letter, and a CDV. 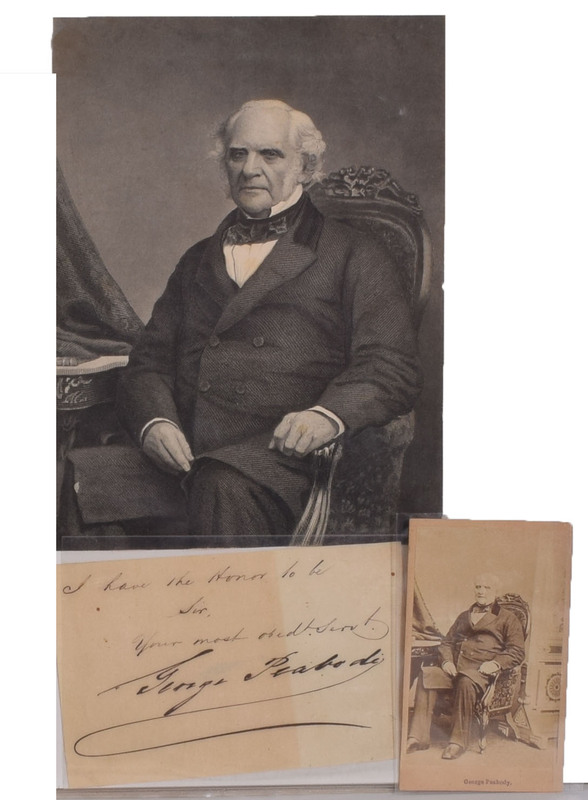 George Peabody (February 18, 1795 – November 4, 1869) was an American financier and philanthropist. He is widely regarded as the father of modern philanthropy.